The father of a pregnant woman found murdered with her two daughters faced her accused killer in court on Tuesday — the day after police unsealed an arrest affidavit showing that Chris Watts claimed his now-dead wife killed their little girls. 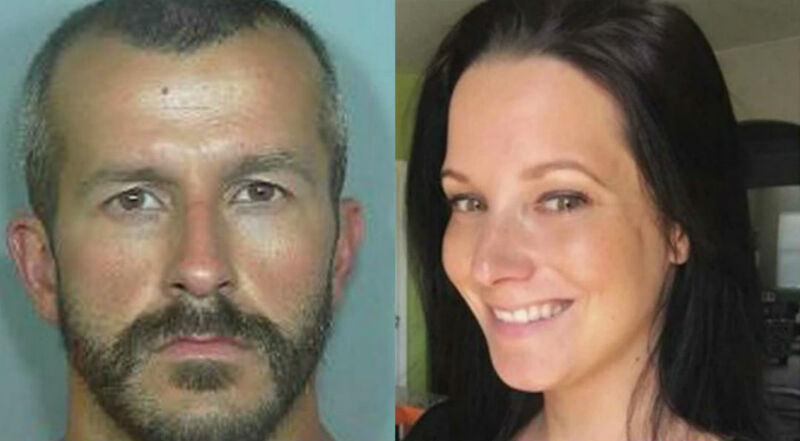 NBC News reports that Shannan Watts’s father Frank Rzucek Sr. appeared for Chris Watts’s arraignment hearing at Weld County Courthouse in Roggen, Colorado on Tuesday, where a judge read Watts the nine felony counts against him. According to the report, Rzucek Sr. buried his face in his hands, sobbing, as the judge spoke to the man suspected of the triple homicide. His son and Shanann’s brother Frankie stood by his father and placed his hand on his shoulder. At the hearing, the judge reportedly advised Watts that the charges carry a maximum sentence of life in prison, but prosecutors still have the option of pursuing the death penalty, which is legal in Colorado. Authorities unsealed Watts’s arrest affidavit on Monday after prosecutors announced the formal charges. The arrest record shows that Watts’s story changed multiple times, but that he ultimately claimed he strangled Shanann Watts “in a rage” after he saw her actively strangling one of their daughters via a baby monitor, and saw the other daughter appearing to be injured. Investigators reportedly found that Watts was having an affair with a co-worker, though at one point he denied the relationship. Watts reportedly waived his right to a preliminary hearing and is due back in court on November 19.